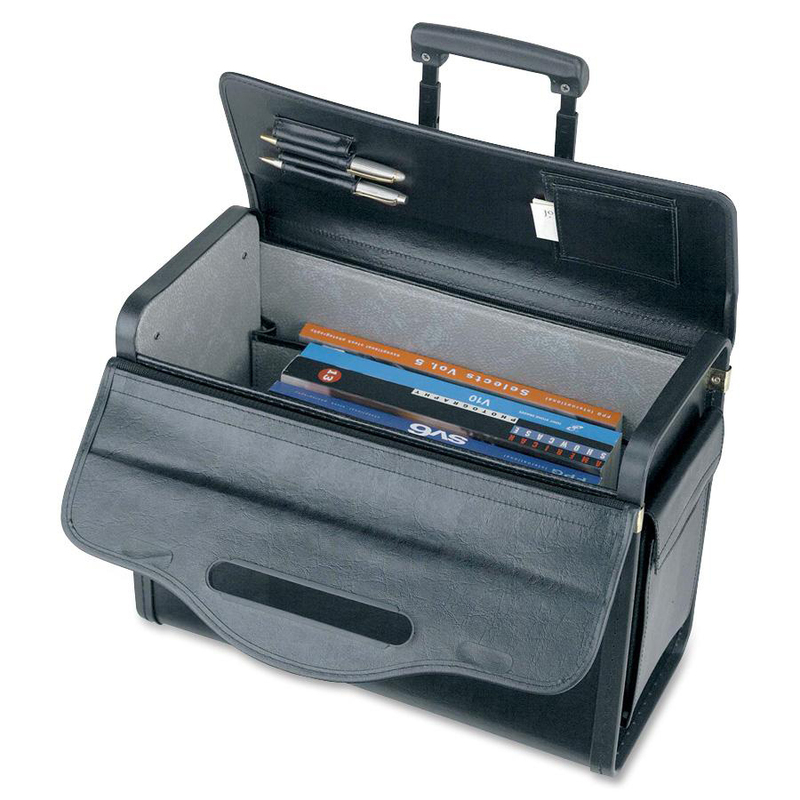 Oversized Rolling Catalog Case accommodates large cases, oversized binders, ledger books and samples. Sturdy push-button telescoping handle slides out to provide easy maneuverability of case on its built-in wheels. Handle slides back in when not in use. 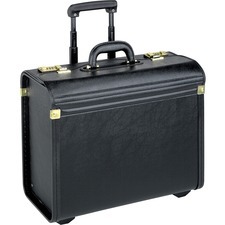 Case includes an outside pocket for files and accessories. 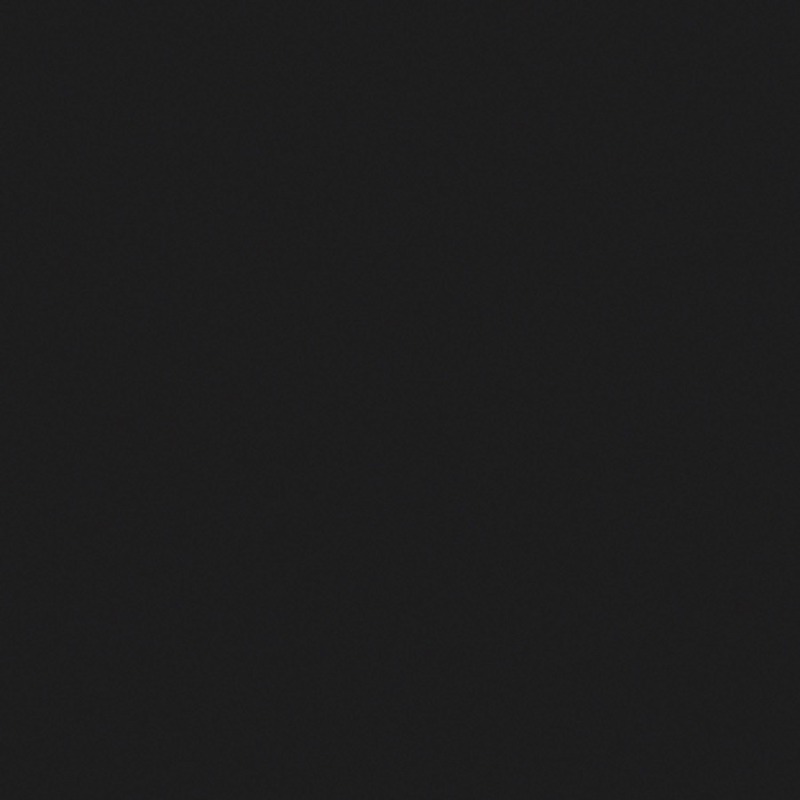 It is made of durable vinyl.